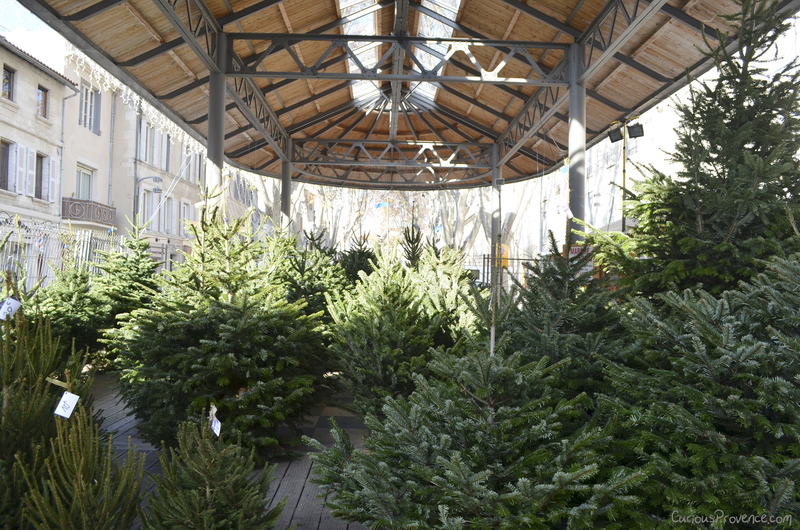 These trees can be bought at the “Marché de Sapin” on Rue Carnot that is impressively open 7 days a week until Christmas! 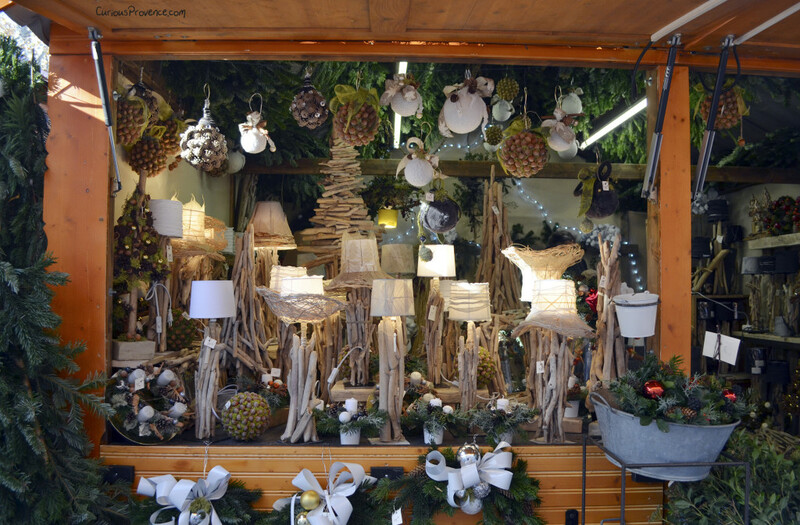 Today and tomorrow Avignon is particularly in the mood for some Christmas spirit. Carols are playing all throughout the town and the fairy lights have been left on! 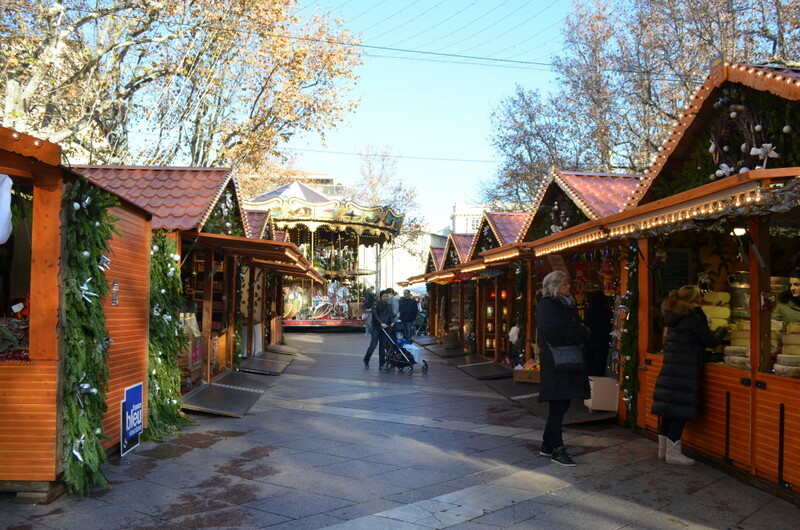 The main Christmas market (outside the town hall) is open as well as the classy Christmas festivities happening at La Hotel Mirande. Quel choix! Different types of Corsican saucisson. 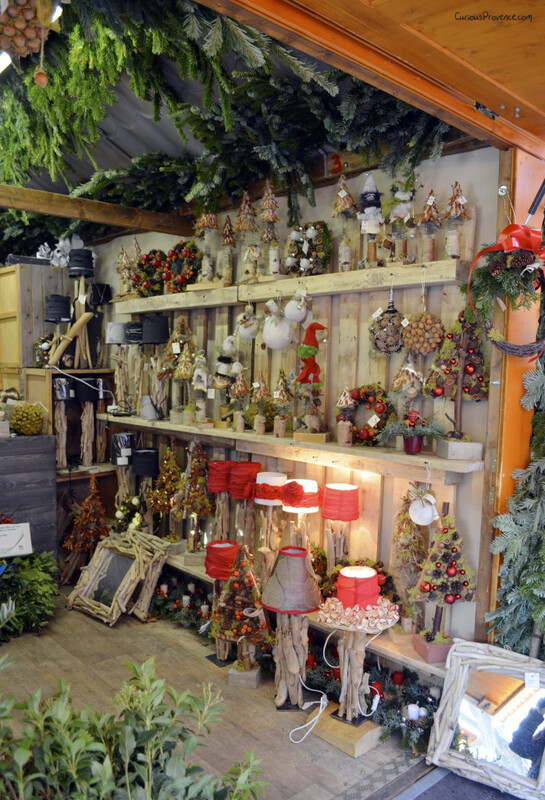 Decorations made out of natural products for some reason feel much more festive to me. 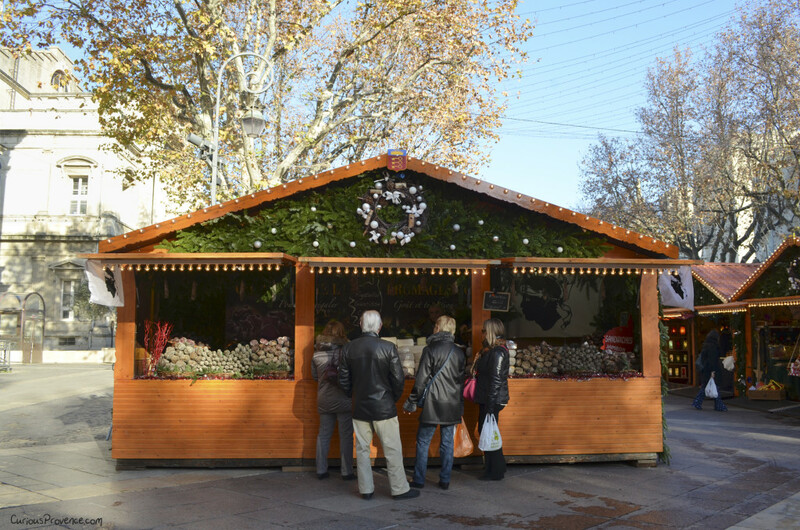 At the Avignon Christmas market you’ll find nougat, saucisson, artisan chocolate, candies, roasted chestnuts, hand-made crafts and much more! I love the simple and fun way this artist has displayed his work. A luxurious Christmas market? 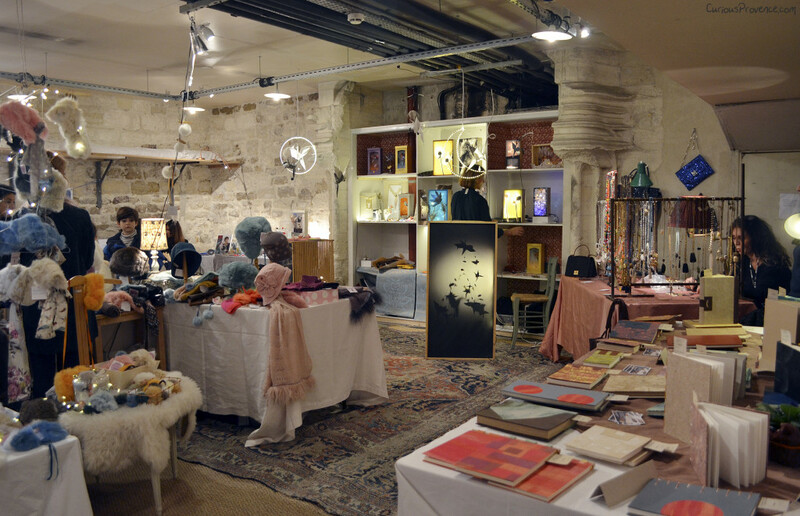 Here you’ll find food demonstrations by well-known chefs, beautiful plates of food and wine, a high-quality crafts market, Marseille tarot card reading and lots of romantic little spots to enjoy the atmosphere. 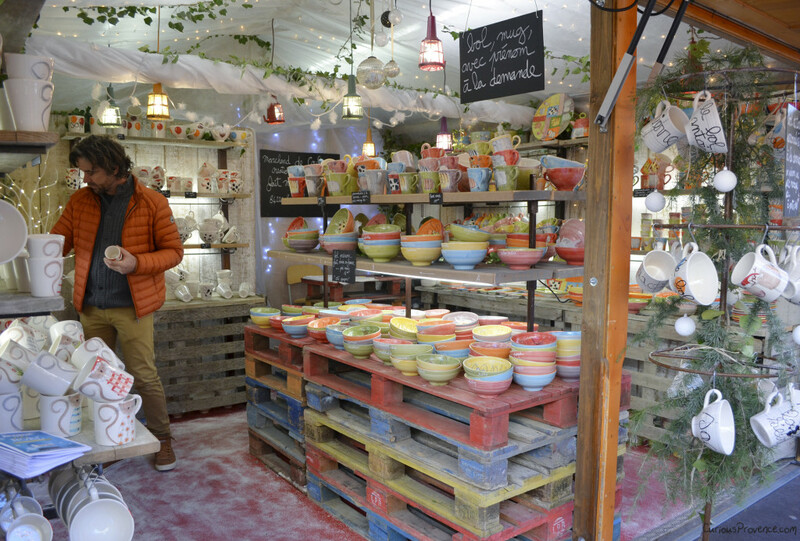 This is one of my favourite artisan markets all year. You’ll find it down the very narrow spiral stairs that gives you the sensation that you’re descending into a mysterious room in a castle. 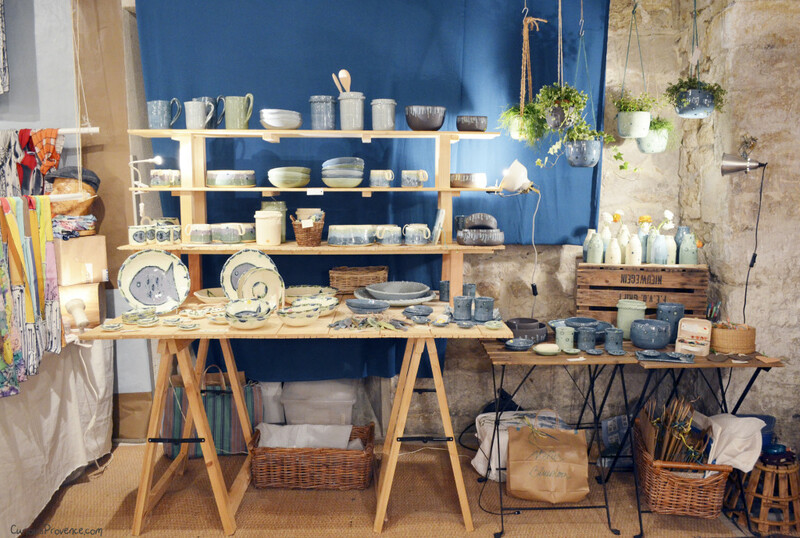 Ceramics by Atelier Bluemoon from La Ciotat. I wanted everything! The colours are so vibrant (I didn’t do them justice here). 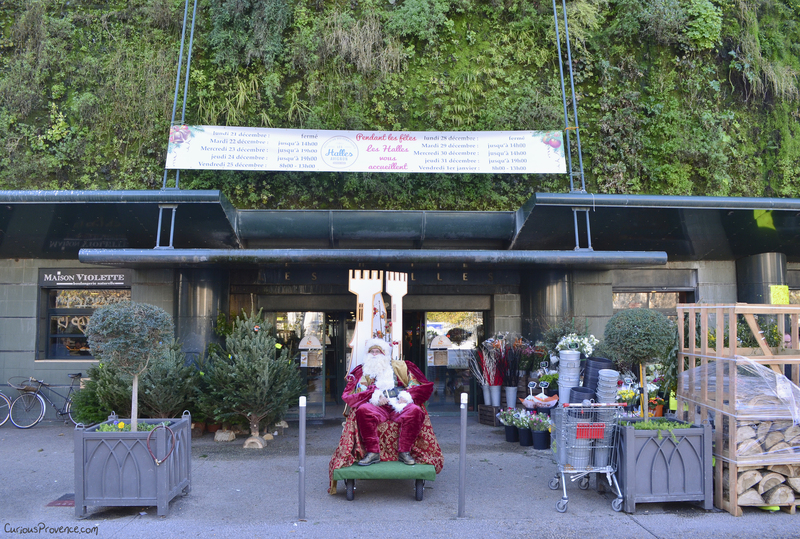 I had to buy at least one of the little vases…Christmas gift for myself? 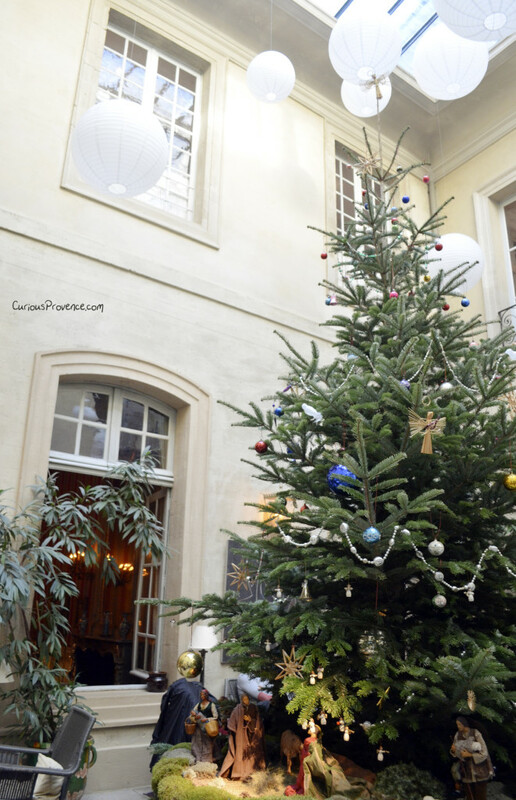 You can sip wine at tables positioned around this gigantic tree, in the tea room, in the lounge-bar area, in l’ancienne cuisine…all depending on your mood. 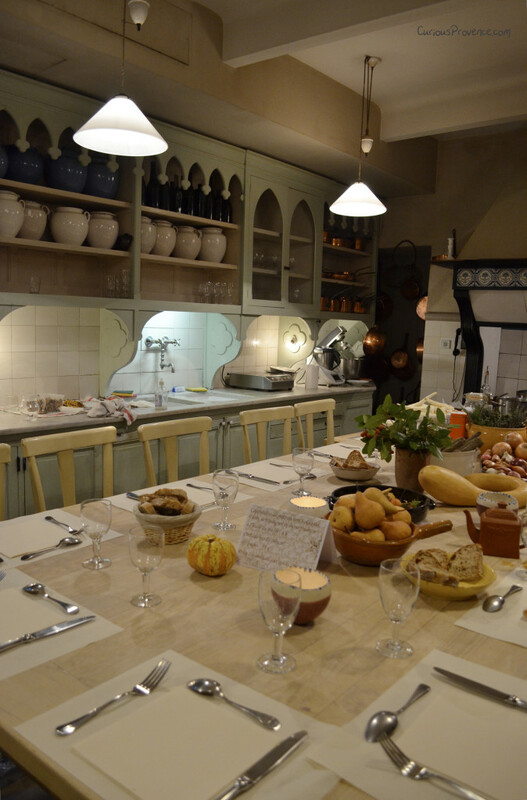 Just one of the 4 places where cooking demonstrations are taking place. Lovely. Wow! Amazing! Beautiful, Makes me smile! Definitely a must see and do!! Adding to my Bucket List!! Hi Mel, That’s such a shame. 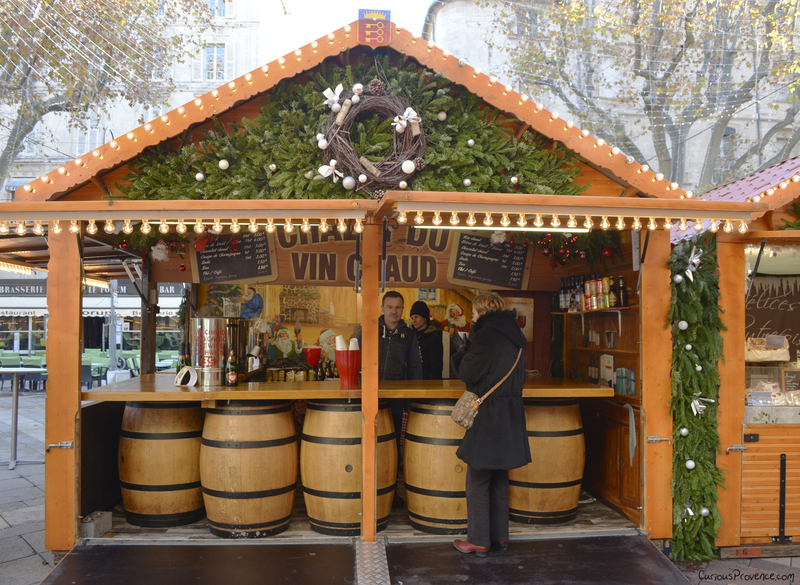 I know that they’ve stopped the market in Avignon for the last couple years. Though I was there in early December and it was nice to see that they’ve made an extra effort with the decorations this year. 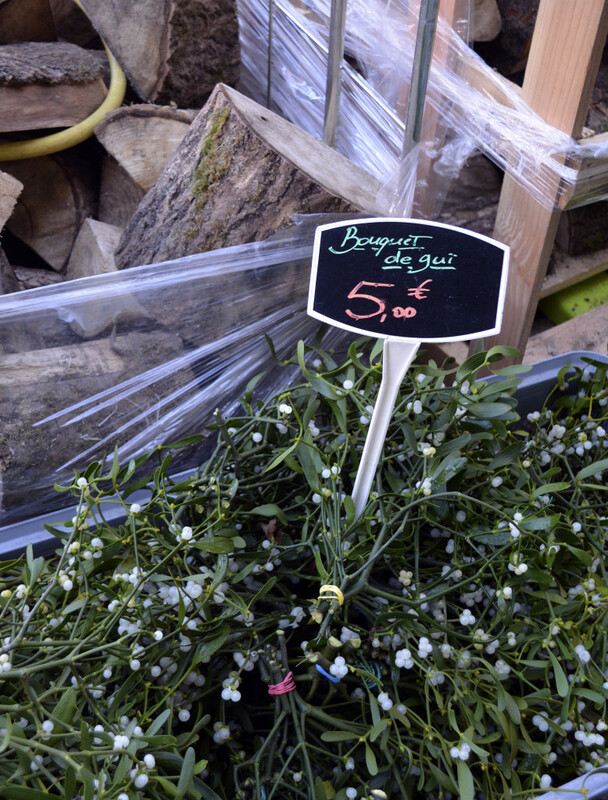 I saw little Christmas trees everywhere!